Hand forged fine silver heart pendant on 18" sterling silver chain. 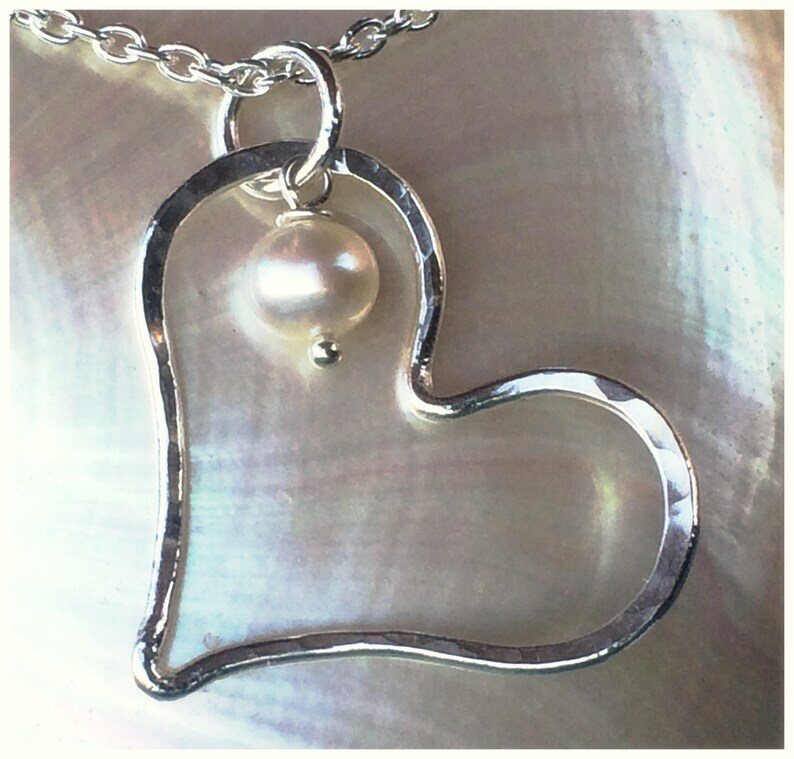 Features a medium sized pearl that dangles inside. Perfect gift for Valentine's Day! Ready to ship in a lovely black organza gift bag. The necklace is absolutely gorgeous and my Mom loves it. I love that it is unique, one of a kind made by hand. Thanks so much, Debbie! I use only the finest materials and create pieces to last. I stand behind my product. Please let me know if there is something you are not satisfied with and I will do my best to correct it.